Gallery Glass Redi Lines are the fast and easy way to create perfectly leaded lines on any project. Simply peel from backing sheet then place on surface to create borders, unique shapes and patterns. Longer leading strips for borders and geometric designs as it allows fewer cuts and fewer "solder" joints. 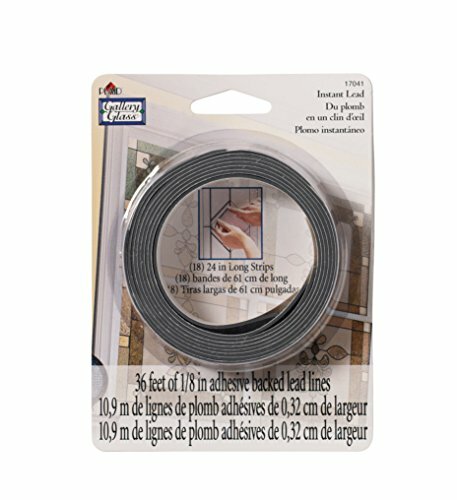 Includes 36 linear feet of leading. If you have any questions about this product by Gallery Glass, contact us by completing and submitting the form below. If you are looking for a specif part number, please include it with your message.